Bryan Hauger Consulting Plastic Film Blog September 2018 - Bryan Hauger Consulting, Inc.
A cleanup crew boat floats through and picks up plastic film remnants and other polymer based packaging. As the water gets more polluted, plastic and polymer film is still a culprit that floats around and often takes over 20 years to degrade. Most plastic is produced by five Asian countries: China, Indonesia, Philippines, Thailand, and Vietnam. One river in particular is known as the Citarum River located in Indonesia which is notorious as the most polluted river in the world. Plastic still remains an environmental challenge to the whole world, but this article goes over what you can do to help fight back the ever increasing plastic waste. If you're looking for any kind of flexible plastic film packaging, feel free to contact us to get it done the right way. We have plenty of consultants ready to help. 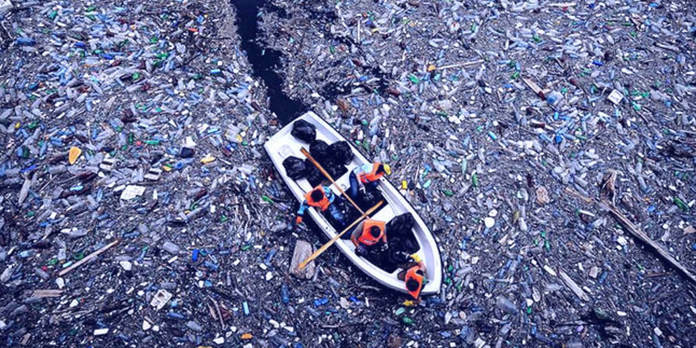 You can read more about the current plastic waste situation here. 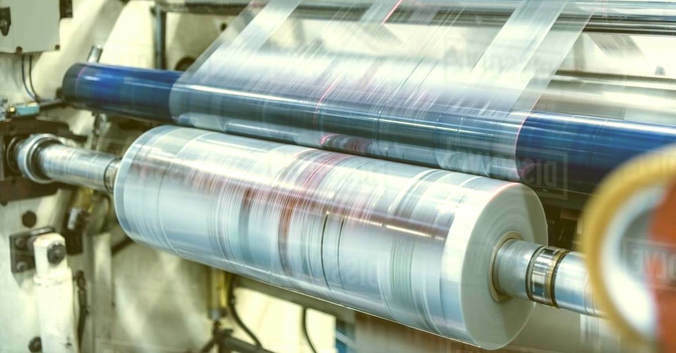 A new product has been in the works within the plastic film industry and it has already won the New Plastic Innovation Prize. It's known as bioORMOCERS which is an entirely new class of material that can be applied to films and packaging for a more sustainable life cycle. As we know, most plastics take a long time to degrade in nature. With this technology, it will degrade completely under composting conditions. This material makes it easy for companies to manufacture a fully functional plastic film that can be used in packaging. It even resists oxygen and moisture like the best films out there! The only thing stopping it from going to market quicker is that it needs company adoption and implementation. 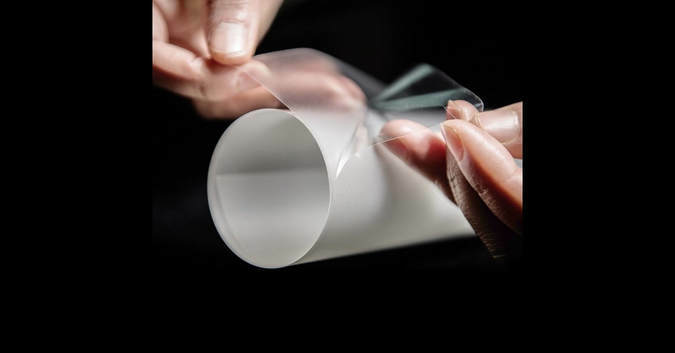 ​Read more about this new plastic film innovation. Cosmo recently made a breakthrough with their film manufacturing and came up with some high quality heat resistant BOPP based films. They have been reported as having fantastic print quality on both sides and are excellent at repelling oxygen. The film is also a great repellent for greasy or oily based substances. To top it all off, this new innovation is polypropylene and polyethylene based, making them more suitable for recycling. Cosmo has really set itself apart from competitors and looks to be a leading figure in the sustainable films future. Working on a film packaging project? We'd love to help. Contact us today to reach our skilled consultants. ​Read more about Cosmo's polypropylene and polyethylene based film. 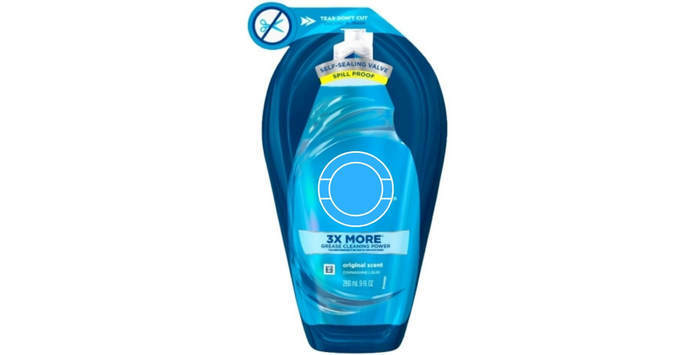 Proctor and Gamble won this year's Diamond Award for innovating a product that is considered to be breakthrough technology for e-commerce and brick and mortar packaging. It's called air assist liquid packaging and fits nicely into the flexible film market. It uses compressed gas to give the package more structure and durability. Not to mention it is more sustainable since it uses 50% less plastic than a bottle. Right on top of the packaging is this one way valve which allows for easier use and less product waste. Let's see where this leads and if competitors will follow.